Mark Verge combines his balloon-twisting talent with a passion for collecting fossils to create life-size balloon models of dinosaurs. 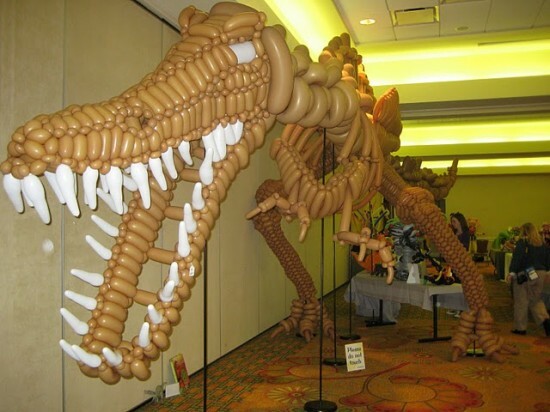 43-year-old Mark Verge, from Ontario, Canada, first started working with balloons in 1995, after getting his hands on a book on making balloon models. It was a lot more difficult than he thought, as balloons would constantly pop when twisted, but after 16 years of practice he has reached a point where he can create intricate sculptures using thousands of balloons. 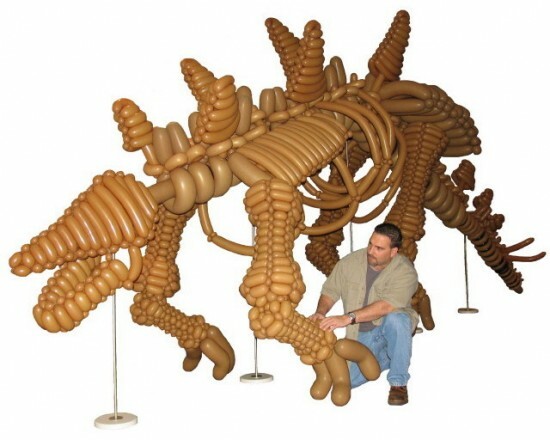 He has developed his own technique and uses a variety of different-sized balloons to create his inflatable masterpieces. 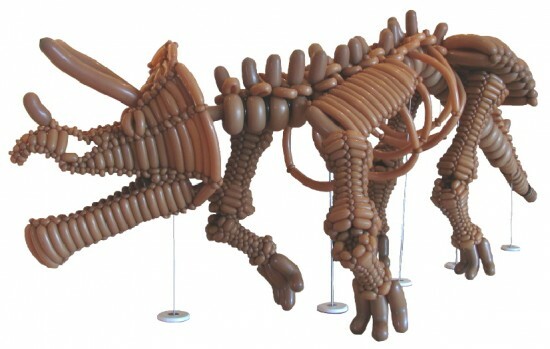 The idea of making life-size models of dinosaurs was inspired by his passion for collecting fossils, so one day he just started twisting balloons to make a dinosaur skeleton. 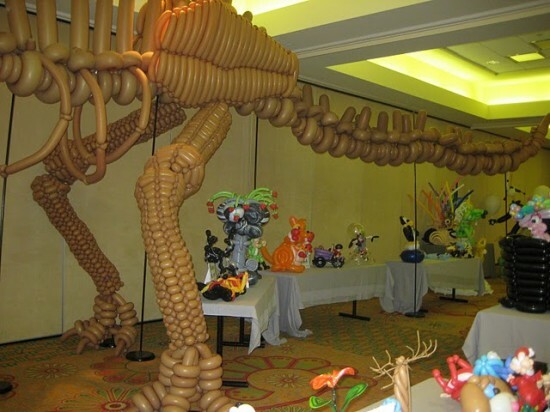 It was a success and now he has a collection of balloon dinosaurs, as well, including a spinosaurus made from 800 balloons, a stegosaurus and triceratops made from 700 balloons, and a utahraptor made from 200 balloons. 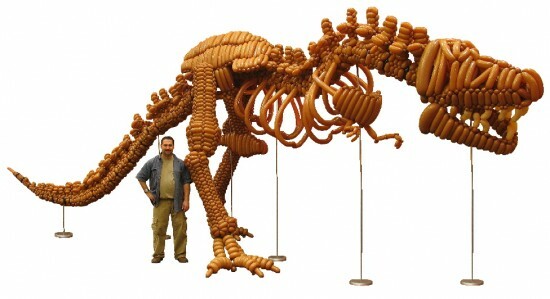 But his most impressive work yet is a 39-foot model of a T-Rex, made from 1,400 balloons. It took Verge 55 hours to finish, as he had to create each vertebra individually and put them together at the end, to make sure his T-Rex looked just right. You might think there’s a metal frame in there somewhere, but it’s all in the balloons (and the stands that sustain it). It took a lot of effort, but this inflatable masterpiece won Mark Verge the first place in the world balloon-sculpting competition.